I’m Dr. Paul Homoky (Chiropractor) and I’m pleased to welcome you to Health for Life Spinal Wellness Centre in Edinburgh and Kelso, Scotland. Please spend some time exploring our website. You’ll find answers to many of the most common questions about chiropractic and natural spinal health care. Here you’ll find more about our chiropractic philosophy, learn what to expect when you see us for your chiropractor session, and discover the secret that so many of our satisfied chiropractic patients have found to help them get well and stay well. At Health for Life, we’re a family oriented practice and offer both relief and wellness care. Many patients begin care in our office with a specific health concern and then realize that chiropractic is all about optimal health…how to get well faster and stay well longer. We’d love to meet you. Call our Edinburgh or Kelso clinic today to schedule a no-obligation appointment. Find out if Chiropractic care can help you! Best care I ever received! Thank you Dr. Paul Homoky (Chiropractor). Lovely place and very accommodating with appointment times. Very understanding people and give 100% to your needs. I have received the utmost care and attention and I would recommend the practice to anyone who has recurring aches and pains to get checked out. I have never felt pressured or sold to in any way. I have always been made to feel welcome and most of all listened to. I remain pain free and not on anymedication. It is my intention in the future to visit the practice once a month so I can maintain my current level of health and fitness. I see this as an investment of my total well being! This is a very friendly, reassuring practice. I would recommend a visit here to other people with concerns. We cannot speak highly enough about the practice, they helped Daniel so much and were a huge factor in getting him through auditions and getting his place in dance school. Daniel will always come back to the practice when he is back for holidays. Many thanks. Wish I had come to chiropractor earlier than I did as I’m now on the mend. And have confidence in Dr.Paul (Chiropractor). Very nice atmosphere created by Dr Homoky. Reassurance and explanations throughout the treatment were clear and helpful. Will definitely recommend. I wasn’t sure what to expect and am delighted with the improvements in my mobility. Very interesting and helpful first visit. I Left feeling like a weight had been lifted off my shoulders. Thank you Dr. Homoky (Chiropractor). I had a very good first appointment. I was impressed by the the depth of care and felt very confident with the service and care. A very good experience. I am very happy to have found Dr. Paul through my family as he is the right person to help me with my problem. After my first visit I left pain free for the first time in 3 weeks. I was delighted and I have remained pain free since, with a once monthly “maintenance ” visit. I would not hesitate to recommend Health for Life to anyone. 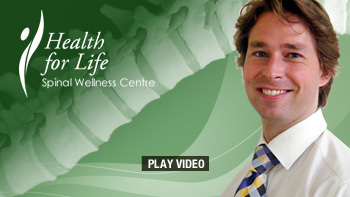 At Health for Life you will receive professional, caring and very helpful staff. So pleased I found this place. Would recommend to anyone who requires help. Very professional. Great experience. Glad I found you, even a visit to your practice makes me feel better. Dr. Homoky and Dr Farrell both ooze ositivity, which help me feel more positive about the future. Many thanks. Probably the best chiropractor I have been to for a while! Very knowledgeable! Highly recommended. And not overpriced! Felt very comfortable all through consultation which was helpful and professional. Would recommend this practice to others. Learned more about my body. Everything was explained to me and why I needed to do my exercises. Great experience would recommend to everyone. Thank you. After many years of neck and lower back pain this was my first experience of chiropractor treatment. I was not disappointed and after a few sessions Dr. Homoky (Chiropractor) has me standing taller and almost pain free.